Depression is one of the most common health issues among older adults. When you suspect your loved one is depressed, use the following strategies to boost his or her emotional wellbeing. Seniors may not always realize they’re depressed, but you may notice early warning signs your loved one needs help. For instance, your parent may stop engaging in favorite activities or give up on personal hygiene. If you notice your loved one demonstrating unusual behaviors, talk to him or her right away. 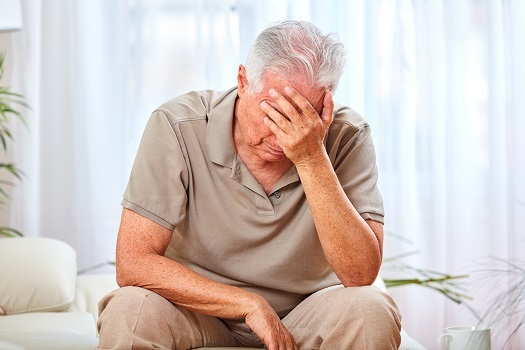 Depression is just one of the many health issues older adults are susceptible to. Seniors can face a variety of challenges as they age, many of which can be mitigated with the help of professional in-home caregivers who provide high-quality senior care. Winnipeg families trust Home Care Assistance to help their elderly loved ones age in place safely and comfortably. Older adults are at greater risk of experiencing depression after a personal loss or receiving a new health diagnosis. Make sure to observe your loved one for signs of depression during these times, and consider arranging for a caregiver to visit in the days following a painful life change. If your senior loved one needs hourly or live-in care, Winnipeg Home Care Assistance can help. Our caregivers can assist with exercise and mobility, prepare nutritious meals, provide timely medication reminders, and help with a wide array of other important daily tasks. The symptoms of depression can also arise due to physical health issues. For instance, thyroid disorders can influence mood and energy levels. Alternatively, Alzheimer’s disease could cause symptoms that make your loved one feel depressed. Talk to your parent’s doctor to find out if there’s a physical cause that needs to be addressed. Older adults are often prescribed medicines to manage the symptoms of dementia. Since these medications tend to work better over time, your loved one needs to make sure to not miss a dose. Help your parent set up a medication management system that incorporates new prescriptions into the daily routine. Seniors who are depressed may not eat right or exercise, which creates a debilitating cycle. Help your loved one set up a healthy diet and exercise plan that keeps him or her active. If necessary, have someone visit your parent each day to provide gentle encouragement to continue to follow the plan. As your loved one makes progress in managing depression, help him or her avoid developing new symptoms. Provide positive experiences each day that help your parent maintain a healthy outlook on life. For instance, you could watch a funny movie together or go out for a walk in the sunshine. Surround your loved one with social opportunities as well as events to look forward to in the future. Seniors who want to remain healthy as they age can benefit in a variety of ways when they receive professional home care. Winnipeg, Manitoba, Home Care Assistance is here to help your loved one accomplish daily tasks, prevent illness, and focus on living a healthier and more fulfilling life. To create a comprehensive in-home care plan for your aging parent, give us a call at (204) 489 6000 today.